Most of America’s leading hotel chains are happy to accommodate feline guests. Below is information on their pet policies. However, some pointers: It’s important to book in advance as some hotels have a limited number of pet-designated rooms, and at certain times of the year they sell out quickly. Always double-check the pet information directly with the hotel because policies can vary within a group, especially if it’s a franchised property. Further, be sure to say you are traveling with a feline — because, bizarrely, some hotels will only accept them if they are declawed (which is something we at Catster deplore). 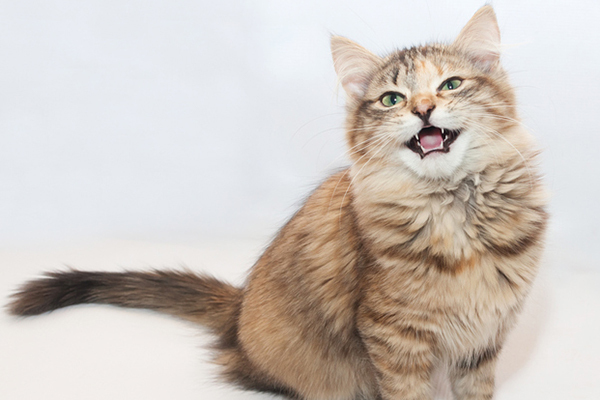 This hotel allows one cat per room and charges a $50 pet fee whether you stay one day or more. The fee includes the provision of food and water bowls, an oversized pet bed, a choice of toys, and pet stairs (if you need them for your cat to access the bed). You may have to bring your own disposable litter box or request the concierge desk to purchase one for you in advance. The hotels in this group have different pet policies. This is one chain to definitely check if you are traveling with a feline, because they may stipulate declawed cats only. 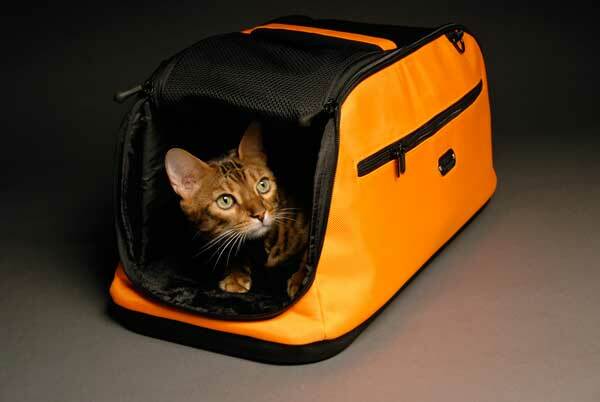 Cats have to be in a carrier if left unattended in a room to assist housekeeping. Some charge a one-time cleaning fee and others only requires you sign a pet waiver. However, there are no pet daily charges or deposits required and no limit to the number of pets per room. Check with the concierge desk about pet sitting services. 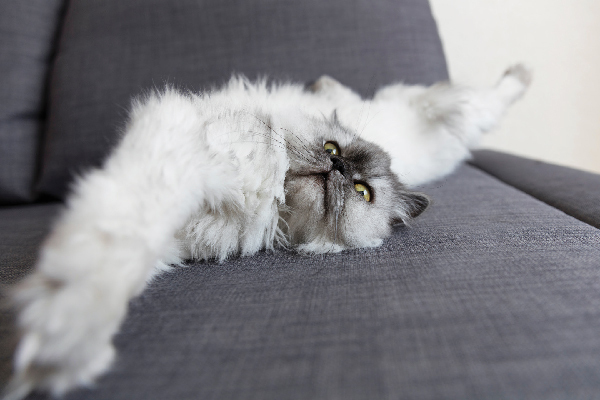 The Hilton’s pets-welcome policy allows one cat in specially designated pet-friendly rooms. There are no additional charges or fees required. The pet amenities provided include a bed made from special Crypton "mess-resistant" fabric, ideal if your cat is a "hairball thrower." The company also owns, manages, or franchises Conrad Hotels and Resorts, Doubletree, Embassy Suites Hotels, Hampton Inn, Hampton Inn and Suites, Hilton Garden Inn, Hilton Grand Vacations, Homewood Suites by Hilton, and the Waldorf Astoria Collection. Policies can vary in franchised establishments, so be sure to call in advance. This group adopted a pet-friendly policy in 2012. Double check, as not all the hotels are feline-friendly. There is a one-time pet fee of $100 for up to six nights, and you will have to sign a waiver regarding damage. Sadly, the hotel group’s Hyatt Gold Pawsport program doesn’t apply to cats. All the other hotels under this brand’s umbrella can also be accessed at the main link. This is the umbrella name for well-known chains such as Hotel Indigo, Crowne Plaza, Holiday Inn, Holiday Inn Express, Candlewood Suites, and Staybridge Suites. All Hotel Indigo properties accept pets. However, rules regarding deposits vary by property; guests should call ahead or check the website. Pet policies vary by location at both the InterContinental Hotels and Crowne Plaza Hotels, too. About 50 percent of the country’s 1,000-plus Holiday Inns are pet friendly. Pets are welcome at about 1,800 Holiday Inn Express hotels countrywide. This chain also doesn’t have a standard policy, so it’s important to check in advance with your hotel. All the Staybridge Suites hotels and all the Candlewood Suites hotels throughout the country are pet friendly. These brands offer apartment-style accommodations with kitchens and are a good choice for extended stays. 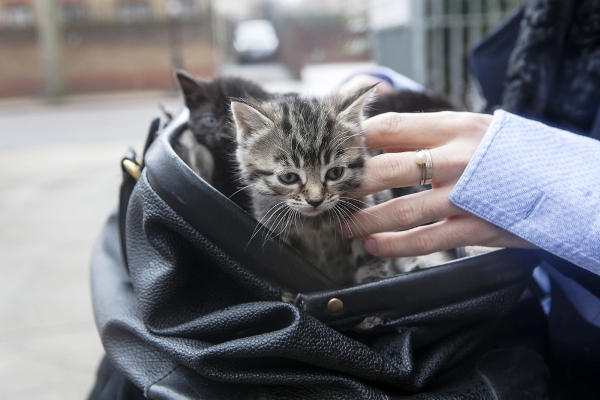 Again, pet policies vary, and you may have to show proof of up-to-date vaccinations. This chain of more than 700 properties doesn’t charge pet-related fees or deposits. There is no limit to the number of cats either. Many of the hotels are franchised properties, so be sure to check with the reservation desk at the property where you are planning to stay. This chain charges $50 per day for pets in the room. Two cats are allowed per room. 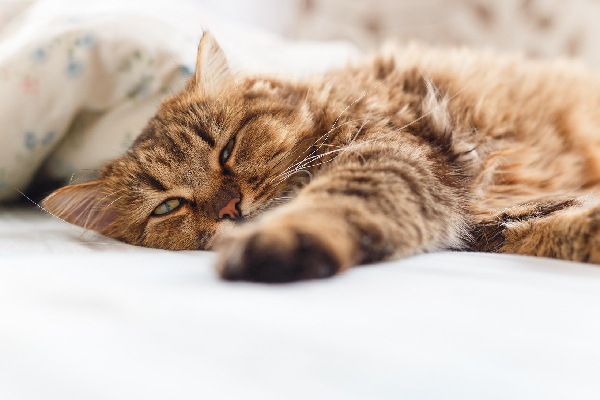 The special pet room service menu varies at each hotel but features dishes such as roasted salmon and roasted chicken — typical feline favorites. On check-in, guests can request the "Kitty Pager" service, which equips pet-owners with a pager or cell phone to allow hotel staff to contact them immediately if there is a pet-related emergency. Loews hotel staff assesses a $10 per hour "time out" fee if a pet is left unattended and needs to be removed from a guestroom. The pet policy varies among the individual hotels within the various hotel chains that fall under the brand’s umbrella, which includes Courtyard by Marriott, Residence Inn, J.W. 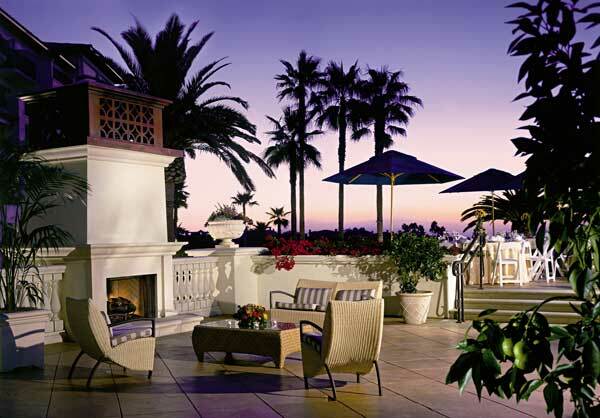 Marriott, Ritz-Carlton Hotels Renaissance, SpringHill Suites by Marriott, and Fairfield Inn and Suites. So be sure to call and confirm with someone at reception, because websites may also not be current on certain relevant information. 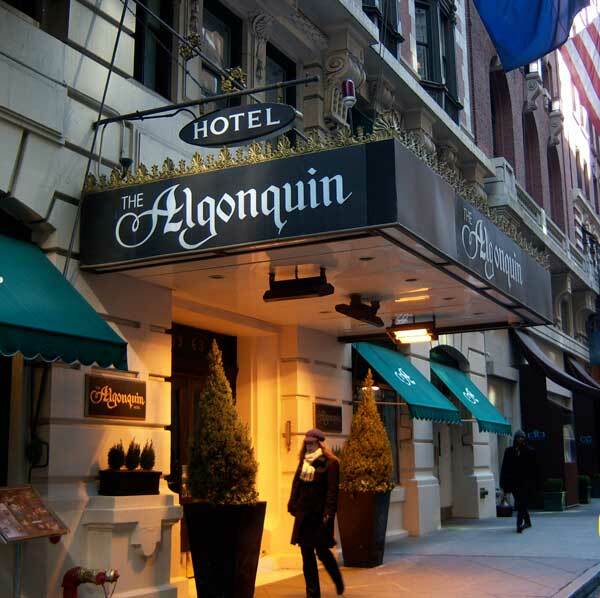 For example, the Marquis on Times Square has a no pets policy, but a couple of blocks away, the Algonquin Hotel on West 44th Street, which is part of the brand’s very stylish Autograph Collection, is very pet friendly and home to Matilda, the hotel’s resident feline. The hotel has had a resident cat dating back to the 1930s and will go out of its way to accommodate feline guests. Reputed to be the first pet-friendly chain in the United States, it has been welcoming furry friends since the 1960s. Today, the chain has about 900 properties. There are no additional fees or deposits required, and there is no limit on the number of pets. 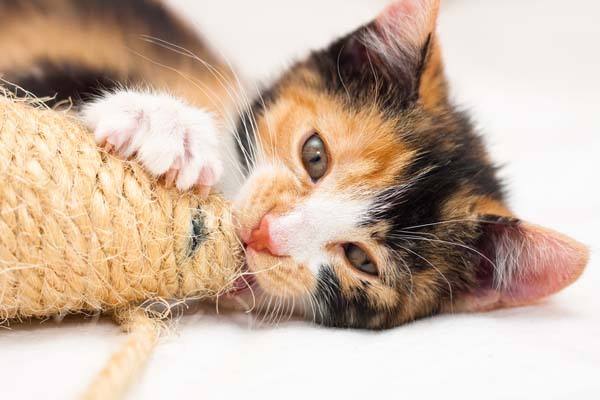 This chain allows three cats per room and they may not be left alone in the room unless crated or secured in a carrier. Some establishments may require a refundable deposit. This hotel chain is part of the Choice Hotels group that generally has a pet-friendly policy. Most properties within the group have designated rooms for people traveling with feline family members. Pets stay free at this chain of over 350 properties countrywide. However, they request one pet per room and the hotel must be notified on arrival. Naturally you will be responsible for any damage you cat may cause. Felines are very welcome at this trendy hotel chain, which is part of Starwood Hotels. Guests traveling with pets will be required to sign a waiver at check-in, agreeing to uphold the guidelines of the hotel’s pet policy, which requests that cats be leashed or in a carrier while in public areas and that the Welcome Desk be notified if cats are to be left unattended in the guest room. 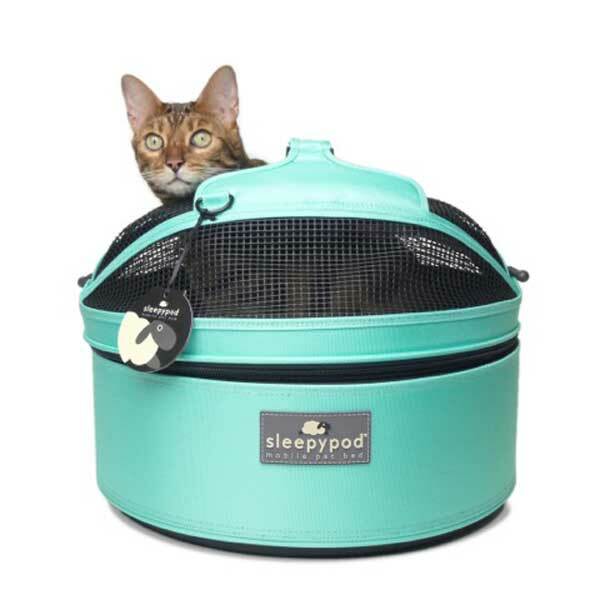 Basic amenities, such as a bed and a bowl, are provided, and the chain has an excellent selection of pet accessories at their Whatever/Whenever stores. Cats get the "people welcome" here, too. There are no additional charges or deposits required, and there are no restrictions on the number of felines per room. Furthermore, furry guests get to sleep on a Heavenly Bed, a unique pet bed with Westin’s signature white-on-white striped fabric, offering the same level of comfort as their people beds do. Westin Hotels are also a part of the Starwood Hotels group, but deserve a special mention because they really put out the welcome mat. About the author: Sandy Robins is an award-winning multimedia pet lifestyle expert and author and spokesperson. She is the 2013 recipient of the Outstanding Journalism and Contribution to the Pet Industry award, presented by the American Pet Products Association and has authored three books, the latest one being The Original Cat Bible. She is also the co-host of the popular web series Pet Product TV. Sandy lives in southern California with her family and fur kids, cats Fudge and Ziggy, and has been voted "favorite auntie" by every dog on the block. Follow her on Twitter and Facebook.